A: NISD assigns the club a facility (school) to hold practices. We will not know where our assigned practice site will be until sometime in September. It will be a Northside school. Q: Will the practices or games affect the middle school volleyball game and practice schedules? A: No. Our club season won't officially get underway until the first or second week of November. That is usually when practices officially start. A: Our season including practices will start the first or second week of November and run through Regional, which usually takes place the first weekend in May. Q: How many tournaments will we play? A: Usually 8 - 10 including Regional and depending on what tournaments we will have to choose from. If possible, tournaments are arranged to take place every other weekend. Every now and then, you may have tournaments a couple of weekends in a row, but usually every other weekend is the way we go. Q: Where will the tournaments be played? A: The tournament hosts determine where the tournaments will be played. Most of ours will most likely be local, again depending on what tournaments we have to choose from. Example: If the tournament host is from the Live Oak area, the tournament could possibly be played at a school in Schertz or Seguin. If the tournament host is from Spring Branch, the tournament could possibly be played at a school in New Braunfels or the gym in Spring Branch. If the tournament is hosted by AOA Sports, the tournament could be held at UTSA or Holmes H.S. **NOTE: These are just examples. The tournament sites could be different this upcoming season. The tournaments could be held anywhere within the surrounding area(s). Every now and then we may have a tournament in Austin, but that will depend on the coaches and what they each are available to participate in with their teams. Q: What is the cost of this club and what does the fee pay for? A: The club fee pays for: membership fee to the Lone Star Region, any certifications needed for either players or coaches, (i.e. reffing, scorekeeping, IMPACT, etc. ), gym rental fees, tournament fees (including Regional), some travel expenses for coaches, 2 jersey's, 1 spankie, 1 pair knee pads, 2 pair socks, warm ups, gym bag, 2 team tshirts, coaches pay, administrative fees, and anything else that may pop up (and usually does) during the club season. Q: Does the club fee cover any travel expenses for the parents or players? A: No. It does not. The cost of travel and hotels is the responsibility of each player and their families. Q: Is club like other leagues in how everyone gets to play equal time? A: No. Nobody is guaranteed a certain amount of play time. The amount of play time a player receives is at the coach's discretion and will be determined by each individual's performance and attitude during practice. Q: What happens if my child misses practice? Will they still get to play in the tournament? A: If your child misses practice, they will most likely have to sit out a match or so. Again, this will be determined by the coach and only the coach. Parents are prohibited from approaching the coach before, during, or after any tournaments to discuss play time or anything else. Parents must arrange a time or place to meet with the coach or to call the coach to discuss any concerns about their child. At no time will the coaches discuss play time or any other issues with a parent about a child that is not their own. Q: Shouldn't my child get to play because I pay for it? A: No. Parents are paying for their child to become a better volleyball player. That doesn't mean they are guaranteed a certain amount of play time. All this means is that each player is expected to work hard at practice, listen to the coaches and try their best to apply what they are being taught. They are expected to bring with them to practice a lot of determination and drive and a willingness to learn. If they can do this, they will be a lot better off when it comes time for the coach to determine the lineup for the tournaments. Q: What should I expect on tournament day? A: Expect to spend at least 5-8 hours at each tournament. Sometimes, depending on the tournament, it could even be longer. This does not include the time it takes to get to the location. Q: Do we need to pack a lunch? A: At the beginning of the season and during the parent/player meeting, volunteers are asked to step up and take charge of the "tournament food table". These people will be in charge of telling players what snack, food, or drink they will be responsible for and should bring to the tournament. They will need to bring enough for the team. Tournament directors usually don't like teams to leave to go and eat because their team could start their next game earlier than expected and then have to forfeit for not being ready to play on time. Q: What happens if I can't make my club fee monthly payment? A: You have to make your payments. A late fee will be assessed. The payments pay for the tournaments and other club necessities as mentioned above. This is a business and defaulting on your commitment to pay will result in being turned over to a collector. Your child will not be allowed to continue to play if payments are stopped. Q: What if my child gets injured and cannot finish the season? A: If your child gets injured and cannot finish the season, you will not have to continue making payments. However, you will not receive a refund on any amount paid before the injury because all fees are used immediately to pay for tournaments, coaching fees, gym fees, etc. Q: The word "fun" is used in your club information. 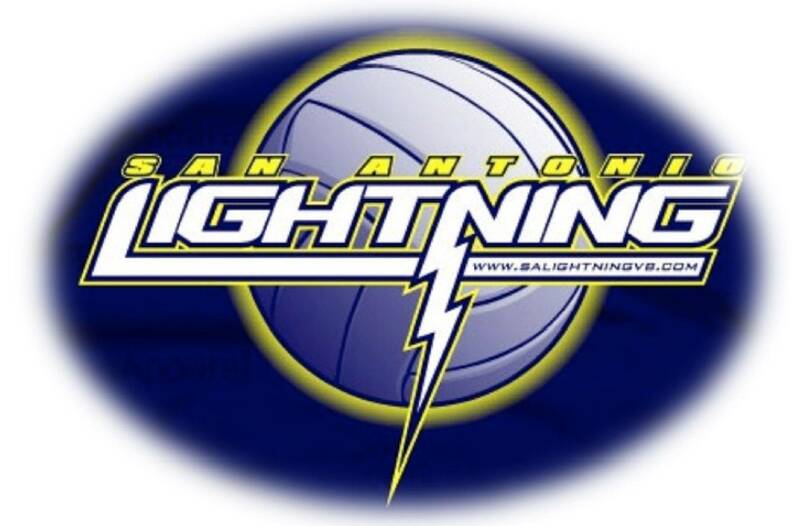 Does SA LIGHTNING take club volleyball seriously? A: Absolutely. Our goal is to teach young girls the necessary skills and techniques required to play this game of volleyball to the best of their ability. Having fun while we learn new skills, while we learn how to be great team players, while we learn how to take on some leadership roles, and in the process learn how to win and lose graciously is what we feel club is all about. Do we want to win? Yes. Absolutely. But we want to win with the teams playing the game the way it's supposed to be played. And what could be more fun?